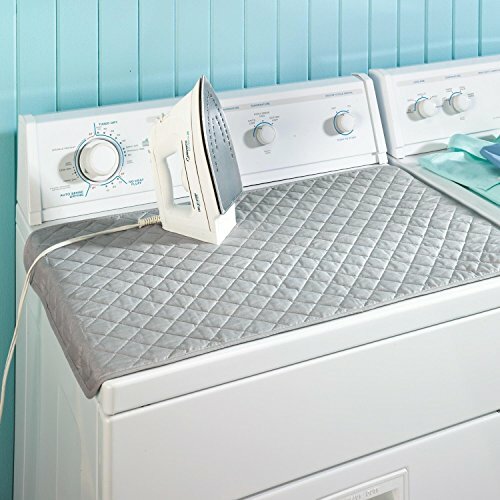 Decor Hut Ironing Quilt Pad 100% Cotton Strong Magnetic Quilted Gray Metallic Surface Protector,Great for Traveling to! 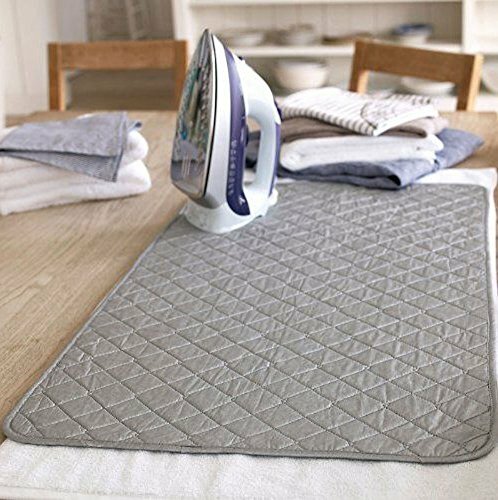 / Shop / Home and Kitchen / Kitchen and Dining Features / Decor Hut Ironing Quilt Pad 100% Cotton Strong Magnetic Quilted Gray Metallic Surface Protector,Great for Traveling to! 100% cotton! wont leave marks on your clothing,High quality long lasting! 4 strong magnets to keep from shifting while ironing. stays in place while ironing. Iron on any surface without a hassle, great for quick ironing on top of a counter or washer, also great to keep on top of your washer or dryer to prevent from scratching, comes with 4 strong magnets on all 4 corners to stay in place while ironing! 100% cotton!! 33 by 19 inch, Folds thin great for traveling or dorm! Great to keep on top of washer for protection and last minute ironing.